The high season in Naantali (link) starded properly during the last weekend in May, when the traditional Boat Exhibition was held at Naantali guest harbour. There were one hundred sailing and motor boats in total and a thousand people attending the exhibition. Despite the economical down fall many boats were also sold. I was very positive surprised. In June it was time for Naantali Music festival. This festival has nearly 20.000 visitors yearly and it starts the Finnish summer festival season. The program consisted of high quality chamber music performances and a few lighter concerts. We have two regular guests to the festival as well; there are two lovely British ladies, well over their 80's, who have been in Naantali over 30 times! We are really looking forward to seeing them every June. I don’t normally listen to chamber music at home or in my car, but in June at Naantali’s beautiful medieval church, I really enjoy the atmosphere and the music. The season continued with the opening ceremony of the Moominworld Theme Park and the "Adventure Island Väski". The Moomins usually have over 200.000 visitors during one summer season. Naantali Spa Hotel appeals to both families and individual guests, and the Kultaranta Estate garden, the summer residence for the President of Finland at Luonnonmaa Island, is also a must place to visit. I enjoy best the old town and the guest harbor where the atmosphere is something very special and unique to Finland. There is no other place where the sea enters the heart of an old wooden town. You can’t capture the feeling in any picture or power point presentation - you have to experience it yourself. Every summer there are many events and concerts in Naantali area. Of course this is nice and the visitors enjoy these events with the local people, but sometimes I would like to move a few of them to an other time or season, perhaps September or winter. Prolonging the year-round season is a big challenge for Naantali Tourism. 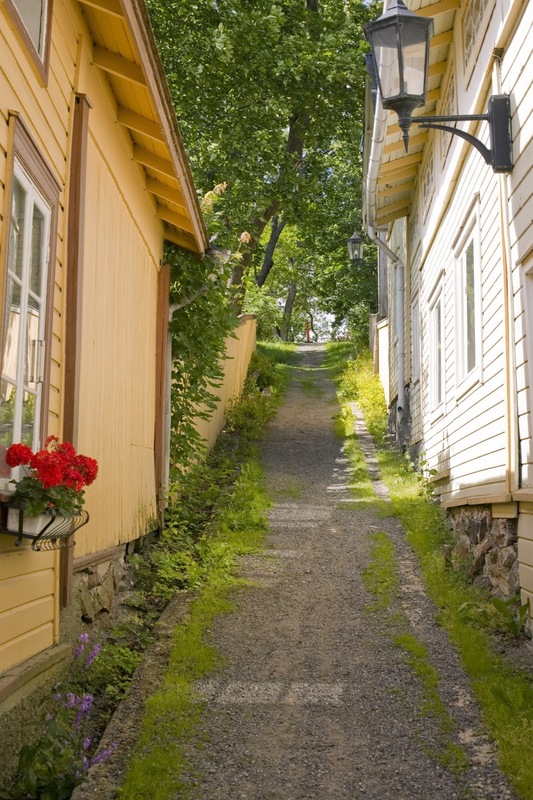 How could we lure the customers to Naantali during every season (in Finland we have four distinctive seasons)? I think it is possible only by organizing attractive events or by marketing the winter season with ice and snow and all the nice winter activities. There is only one problem; can we guarantee the snow and ice so that the visitors can skate on sea ice or ski there? What shall we offer instead if it is raining cats and dogs in January instead of snowing? Perhaps we could and will find new possibilities in the wellness services – for example spa treatments, trips to green forests in and out Naantali and the Baltic sea, and relaxing activities in fresh nature. Or we could utilize our history by e.g. offering interactive guided tours in the dark winter evenings carrying candles and lanterns. I hope that we will achieve 600.000 visitors this year. June was very cold and rainy and the restaurants and terraces were very empty but July was hot and beautiful and August has been warm so it will help the entrepreneurs a little. We will have to wait and see. After this summer season we will start thinking about next summer. I already have a few good ideas but you will hear about them when Naantali 2015 season is launched in January 2015.